I'm so excited to be getting on the train and traveling down to Hayling Island in Hampshire, this weekend for a week. We're staying with Park Dean Resorts and have never been before. I'm hoping we get plenty of sunshine as we plan to go to the beach and enjoy swimming plus visit other places that are around the area. 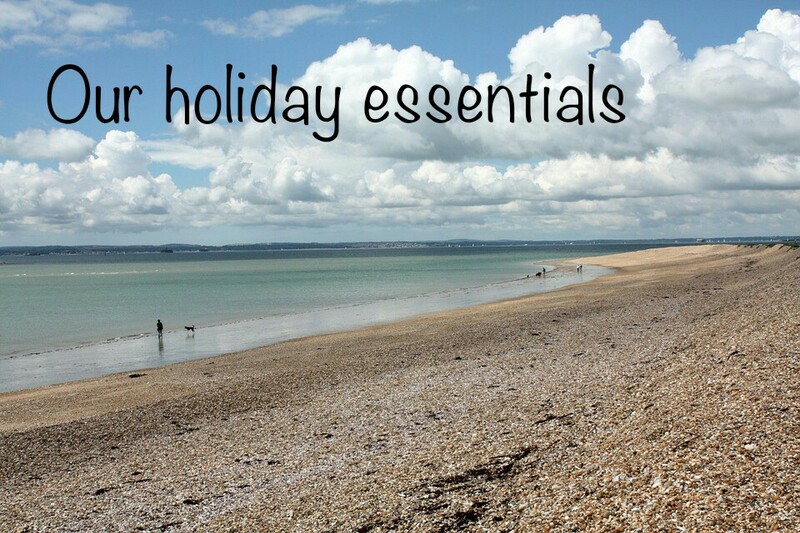 Going on holiday as a family can be hard work, but it doesn't have to be if you plan in advance. I like to write a list of all the things we need to take with us and tick them off as they are packed. This makes me feel less anxious and I can relax a bit more. Here is a list of Holiday essentials. There are a mixture of must haves for me, for Blake and for the 3 of us as a family. Don't forget to follow me on social media where you will be able to see some of these items being used whilst we are away. Before going and whilst on holiday an essential for me is great hair removal products. Nair sell a wide range of products to help you get rid of that unwanted hair. The cleanse and shave triple action cream is quick and easy to use. The cream is ideal for using in the shower as you can shave, cleanse and go! The cream aims to reduce shaving bumps and sooth irritation. Leaving your skin soft, smooth and moistureised. The Nair Norish Glide on is a must have product for removing hair from small areas such as under your arms or your bikini line. It's mess free, simple to use and quick too. Containing argon oil to moisturise and exfoliate while removing hair the glide on is kind to skin so suitable for both dry and sensitive skin types. Femfresh sell a range of wipes, washes and sprays for intimate areas. 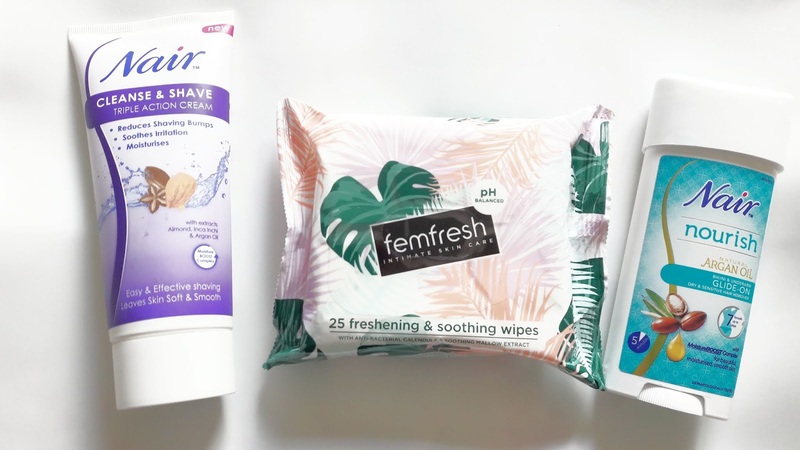 The wipes are a must have for on the go to help me feel fresh and clean down there. The wipes come in a 25 pack and a handy 10 pack. The 10 pack is ideal for popping in your handbag when out and about. The gentle pH-balanced formula with calendula & soothing aloe extracts is perfect for busy lifestyles and on the go freshness. If you like to come home with a tan and sometimes struggle you can fake it with the St Moriz Gradual Tan not my usual cup of tea but I know a few people who would give this a go and count it as a must have.This gorgeous cream glides on the skin, giving a gradual tan and a beautiful glow. The velvety soft formulation offers sun protection at SPF30 to make it a perfect solution for both sunny and non sunny days. Hair wise I like to pack a dry shampoo with me just in case. 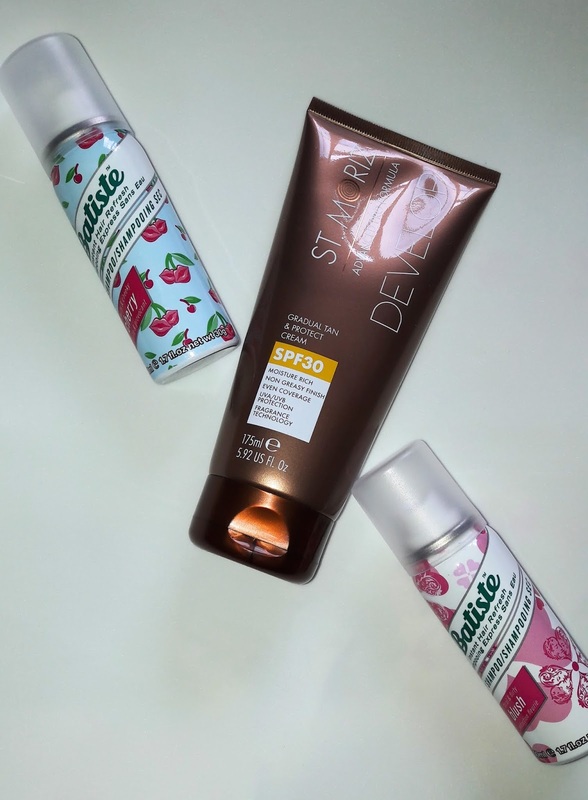 Batiste is my go to brand of dry shampoo and I found it a life saver in hospital after having Blake. This is why I always like to have a can on me when I am away from home. It's the perfect companion for in between washes, it removes grease making hair feel clean and fresh. When on holiday minis are my friend! 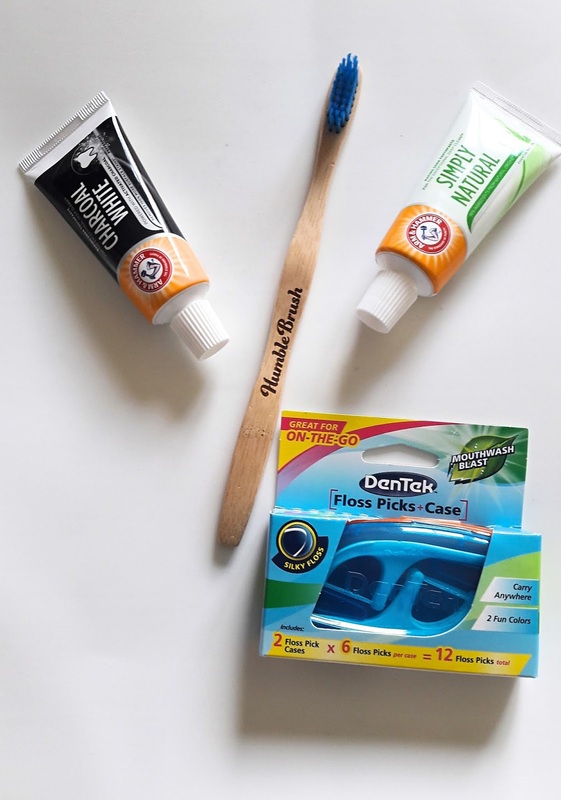 Arm and Hammer mini toothpastes are the ideal size for when going on holiday, saving you space for other must have items in your suitcase.The charcoal white toothpaste gently removes impurities from the tooth’s enamel surface that can cause daily stains, removing 100% more surface stains.. While the Active Calcium™ works to rebuild and restore enamel surface giving you twice the enamel strength compared to your regular toothpaste. The Arm and Hammer Simply Natural toothpaste contains 96% ingredients from natural origins; combining the deep cleaning qualities of pure baking soda to break down & help remove stains whilst encouraging your own saliva to work immediately on enamel damaging acids, reaching parts of the mouth that normal brushing alone cannot reach. Keeping your teeth happy and healthy during the holidays can be challenging, but DenTek helps you with its handy travel case that perfectly fits in every handbag, backpack or piece of luggage. The travel pack has 6 floss picks per case and the pack has 2 cases although a pack of 4 cases is available. The DenTek floss picks are ideal for tight teeth and sensitive gums. Make cleaning your teeth fun with Humble brushes for the whole family. These 100% biodegradable and colourful toothbrushes come in an adult and kids version.The Humble Co. develops reliable health/wellness products, that are eco-friendly and socially responsible, with an innovative twist.The health professionals at The Humble Co. translate evidence-based innovations into eco-friendly consumer products that are beneficial and fun for everyone to use, including underprivileged people living in remote communities. I still have some essential minis I need to purchase such as shampoo, shower gel and deodorant. The 3 of us are sensitive to the sun meaning we burn easily so it's important that the 3 of us use an excellent quality suncream. Frezyderm offer a large range of sunscreens so you will find one's suitable for the whole family. 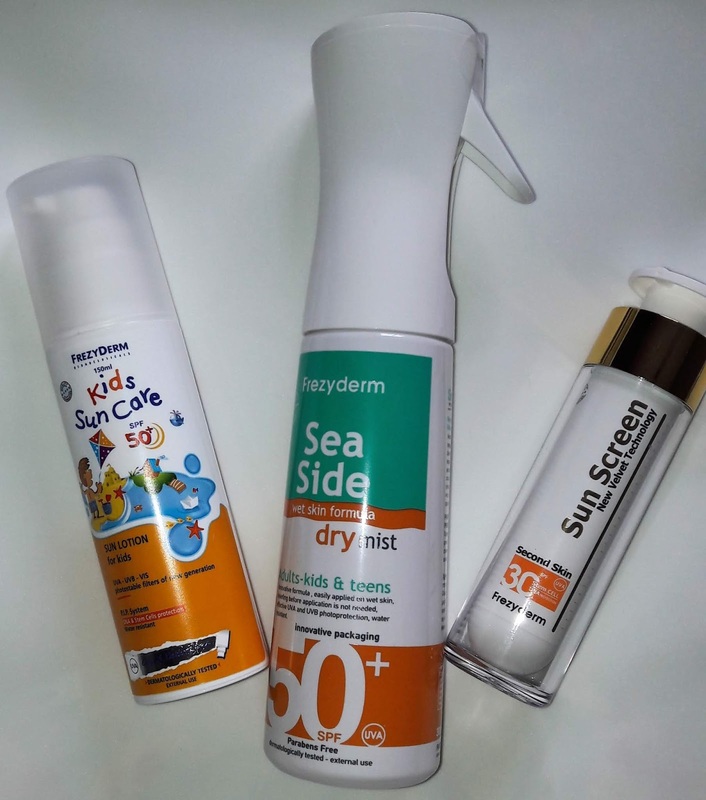 The sun lotion for kids have an SPF50+ and are high factor sunscreen which provides effective, water resistant protection and is ideal for children with sensitive skin or skin conditions. The seaside dry mist is suitable for all ages so will be handy for us to take to the beach.This sunscreen mist combines ease of use with very high protection (SPF50+) . It offers effective protection against ageing and free radicals caused by sun exposure and UVR. The spray is water resistant, making it ideal for the beach where there is intense sun radiation and high humidity. The Velvet Face Sunscreen is an innovative, transparent sun protection face cream with unique cosmetic behaviour that spreads evenly with one touch. It offers a matte appearance for 6 hours and its clear, non-oily texture leaves no white tint and makes an excellent makeup foundation with no white tint. The Velvet Face sunscreen in colour The cream provides very high protection from the sun and an even colour tone. The tint covers discolouration, scars and skin imperfections. Swimming is one of Blake's favourite things to do when on holiday. The place we are staying at is meant to have an outdoor pool as well as an indoor one so we can swim no matter the weather. Both Stuart and I have swimming gear from last year we will be wearing however Blake has grown out of his and Splash About came to the rescue. 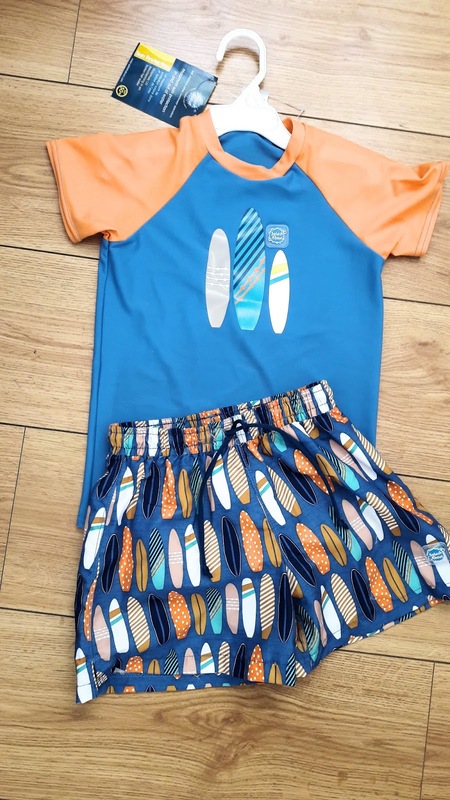 Splash About are a brand we go to for buying Blake's swim wear and I fell in love with the board shorts and rash top in the surf's up design. The top covers those easy burn areas with its UV protection and the shorts have been hand crafted from luxurious materials that block out the sun’s harmful rays. I love taking photos and as I'm also online quite a bit I need to make sure my devices are fully charged. The same goes for Stuart and Blake's devices. This is why the Varta Slim Power bank is a must have the power bank comes in 6,000, 12,000 and 18,000 mAh options. Power banks act as an additional external battery for mobile devices like smartphones, tablets, smartwatches, cameras and other mobile devices. The Power Bank delivers fast charging speed via 2 Out ports at the same time. I love using a bright and colourful beach towel when on holiday. 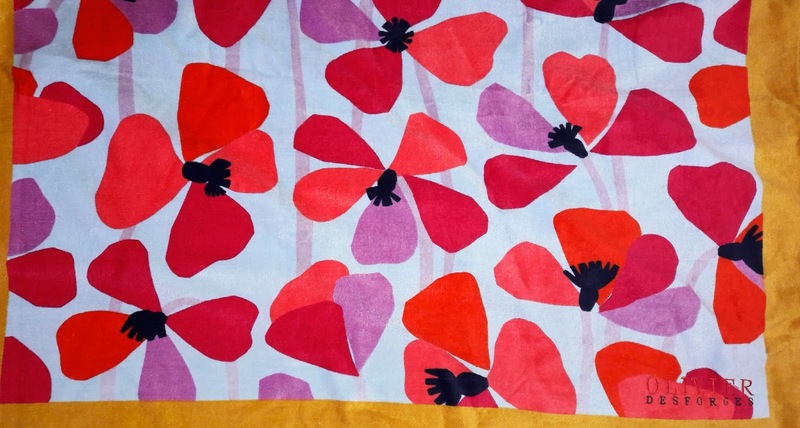 When I came across this charming poppy design from Amara I fell in love with its gorgeous print. The Amor Coral Beach Towel by Olivier Desforges is Adorned with a spray of poppies, this beach towel is in shades of red and pink with an orange border. Made from velvety soft cotton velour, it reverses to a complementing pale blue and boasts a 450gsm. Feeling hot at the beach or even just when out and about on holiday? 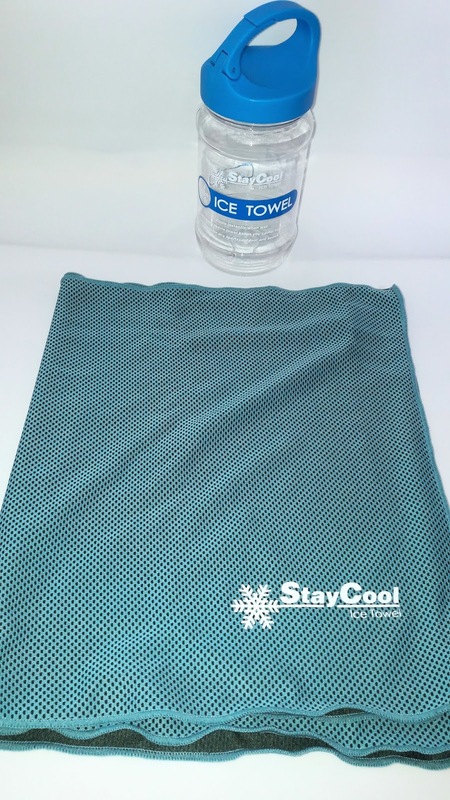 This Stay Cool Ice towel from Find Me A Gift is just what you need.Just get it wet and it’ll keep you cool for up to 2 hours at a time. It’s perfect for gym sessions. Great for soothing temperatures. And superb for hot summer days. Just wet it, squeeze it, and shake it – it’s as simple as that. Last of all when on holiday you need to have a good sized bag to pop all your beach essentails in. 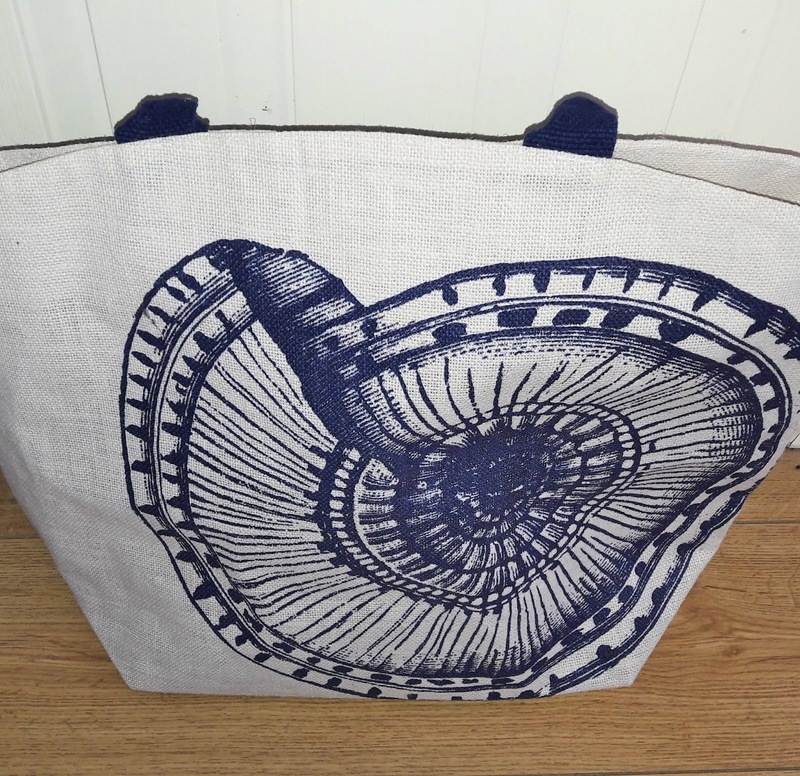 Find Me Gift have a great Seaside Tote that comes in 4 Grecian shades, these beachy bags can hold everything you need. There’s space for a towel, books, sunglasses, sun cream and all the bits you’ll be asked if you can carry for someone else too! I'm sure I'll be carrying bucket and spades for Blake around with me. Tote bag looks useful & stylish! Great ideas i always end up missing something !